Our all-new 5-day course for children aged 6-12 invites all football fanatics to take a shot at our multi-dimensional soccer camps! Future Lampard's or Fran Kirby's will be given the chance to enhance their footballing skills as well as expanding their knowledge of the day to day demands of being a footballer. Children will receive hours of on pitch training and competition with Chelsea FC approved and trained coaches, as well as hours of off pitch sessions around nutrition, recovery and lifestyle. 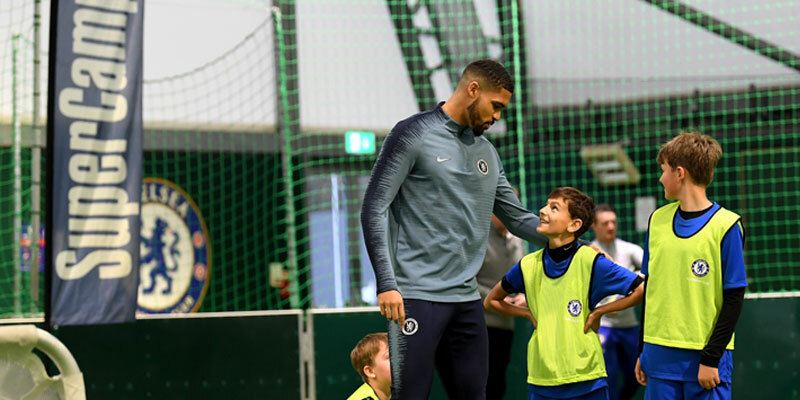 This programme will encompass Chelsea FC Foundation's values of fair play, respect and discipline as well as encouraging team play and development of social skills, with activities that include team building, technique drills and media training. ALL children will also receive a bespoke Chelsea FC Foundation Nike training kit, for use during the course, that they will be able to take home and keep. This will include top, shorts and socks and will be distributed to the children as they embark on their SUPER week with us. Whether just starting out in their football career or future FA Cup Winners, all children are invited to tackle this all-star experience!